Barely three weeks into his government, following his oath of office, governor Dave Umahi of Ebonyi State, ordered an enactment of tax law empowering government agency on revenue matters to collect taxation from every building in Abakaliki. In one of the markets called Ahia Eke Ukwu in Afikpo, he dispossessed the people their land for his personal investment, and transferred the one of their markets, five kilometers away from the initial location. The people presently have to expend on high transportation costs to get to their businesses within the new government allocated environment. Besides, the popular elders customary dispute resolution ground for the aggrieved persons, was placed on quit notice by the governor to dislodge traditionally. But realising that the action will spell doom for his planned second tenure bid, he quickly reversed on the advice that it has attracted adverse public attention. 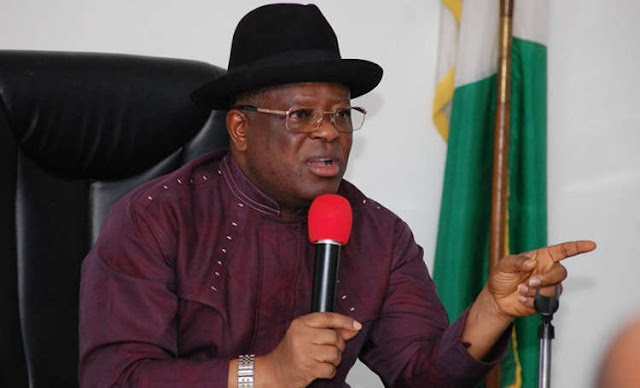 The Indigenous People of Biafra (IPOB) in Ebonyi State have to be on their guard meanwhile, as governor Dave Umahi as reliably gathered, has plotted to win a second tenure as the number one citizen of the State by all imaginable means available at his disposal. He bragged that not even the IPOB can truncate his re-election bid. Biafrans especially within Ebonyi State by this information, enjoined to be fully prepared against the evil antics of this Hausa-Fulani puppet, in obedience to the instructions of our leader Mazi Nnamdi Kanu, regarding "No More Election Order In Biafraland" until referendum is desirably conducted. Governor Dave Umahi must not forget that the more the Indigenous People of Biafra (IPOB) are killed, the more resolute and determined we are in our quest for Biafra restoration. Biafrans are not deterred by the evil plans of the Ebonyi State Governor, to silently pick on IPOB members for elimination. He must also note that neither him nor his relations will relocate from the state in the course of implementing his evil machinations. Intimidation, illegal arrests and death can never debar the Biafran people from driving to a logical conclusion, the agenda already set out for accomplishment. The will of the people must certainly prevail!